Pinoy shopping center offers irresistible deals, raffle prizes on Ka Andres’ birthday. Manila – Shoppers looking for the best deals this holiday season are in for a special treat, via a 3-day Pre-Holiday Sale. The Tutuban Center BONIDay sale, happening on November 28, 29, 30, promises a wide range of items for Filipino families at affordable prices, just in time for the holiday shopping rush. 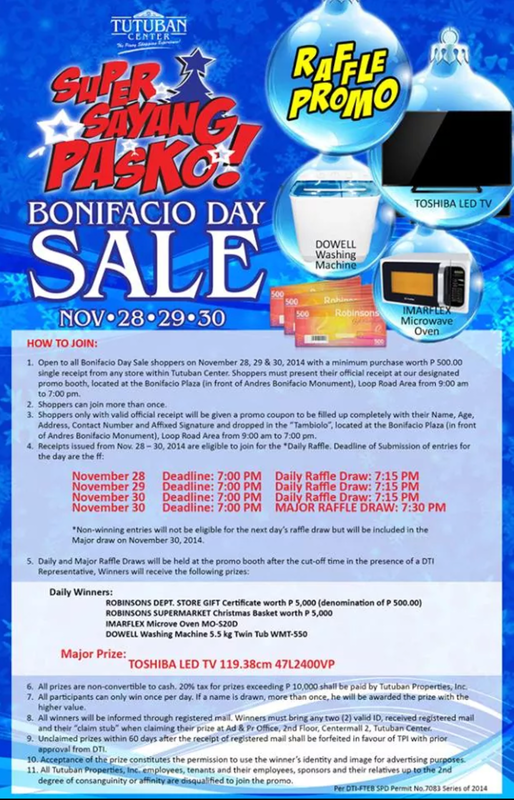 Aside from the sale, shoppers are also entitled to join a special raffle promo. 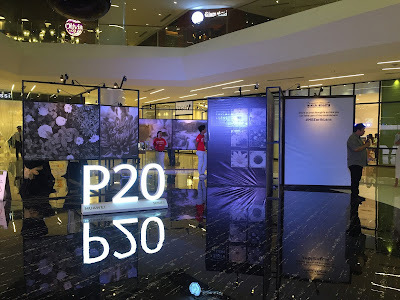 With a single-receipt minimum purchase worth P500 from any store within Tutuban Center, shoppers are entitled to join more than once and simply need to present their official receipt at the designated booth at the Bonifacio Plaza, which is open from 9:00am to 7:00pm. Raffle prizes at stake include Robinsons gift certificates, IMARFLEX microwave oven, DOWELL washing machine, and a TOSHIBA LED TV. “This is also our way of saying ‘thank you’ to our loyal patrons for their continued support. This is our early Christmas gift to them,” Tecson added.